Stocks trading under $10 are usually trading there for a reason. And that reason is not a good one. After all, companies almost never go public at less than $10 per share. Therefore, if a company’s stock price is languishing under $10, its usually because investors have sold it down to that point. If investors are selling, that means something is wrong with the company, the valuation, or both. For this reason, stocks trading under $10 almost always come with a lot of baggage. But if you can sift through the garbage, the under-$10 pile can yield some big-time winners. These stocks are usually pretty cheap, and being pretty cheap, all they need is one big catalyst to send them skyrocketing higher. Below, I’ve compiled a list of three of my favorite stocks trading under $10. Each of them comes with their own baggage, but beyond that baggage, each also provides a pretty clear pathway to huge gains in a short amount of time. 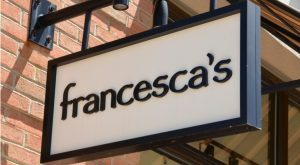 The Baggage: Francesca’s Holdings Corp (NASDAQ:FRAN) is a mall-based retailer, and all mall-based retailers come with a ton of baggage. FRAN’s comparable sales growth has slipped into hugely negative territory recently (down 15% last quarter). Gross margins are in free fall (down 250 basis points last quarter), and the company is much less profitable today than it was last year (operating margins down from 16.1% to 7.5%). The Upside: You have to put FRAN’s recent struggles in context. From 2010 to 2016, FRAN was one of the most popular retailers in the world. During that stretch, cumulative comparable sales rose more than 50%. That is miles above everyone else in this sector. Thus, when FRAN’s operations started normalizing this past year, that normalization was due to be huge. We got that normalization, and now, I think it’s back to normal for this still trendy retailer. FRAN has long a made killing as an Instagram/Pinterest-oriented store that sells artsy/cutesy stuff. This niche hasn’t lost its long-term value. So long as photo-first artistic apps like Instagram and Pinterest remain popular, FRAN should have a strong core shopper demographic. FRAN stock isn’t valued as such. And that is the opportunity in this name. Revenues next year are expected to be somewhere between $485 million and $499 million. Over the next 5 years, some combination of stabilization in comparable sales growth plus unit growth should lead revenues to being at least $500 million. Margin stabilization should also lead to EBITDA margins being at least 15% (below historical levels). That implies EBITDA of $75 million in 5 years. The trailing five-year average EBITDA multiple for FRAN stock is just above 7.5. Thus, this stock should easily get a 5 times EBITDA multiple in five years. A 5 times EBITDA multiple on $75 million in EBITDA implies an enterprise value of $375 million. Today, FRAN’s enterprise value is $150 million. Thus, I easily see this stock more than doubling over the next 5 years as sales and margins trends normalize. The Baggage: Like Francesca’s, Express, Inc. (NYSE:EXPR) is a mall-based retailer, with all the baggage that implies. As would be expected, comparable sales growth at EXPR is negative has been so for the past two years. Margins have collapsed over the past several years. So has the stock. It has gone from $25 to $7 over the past five years. The Upside: Comparable sales growth is negative, but the trend is positive. Comparable sales fell 9% last year. At the start of this year, they were down 7%. By the end of the year, they were down just 1%. Next year, management thinks the company can post flat comps. Thus, the trend in comparable sales is -9% to -7% to -1% to 0%. The improvements will continue because the biggest driver has longevity. EXPR has this surging e-commerce business that is second to none in the mall retail world. Digital sales comprise roughly 25% of EXPR’s entire sales base, a figure that is miles above everyone else in this sector. This huge e-commerce business shouldn’t be all that surprising. After all, Express markets to young professionals. These young professionals are the ones at head of the digital and mobile shopping revolutions. Thus, huge gains in EXPR’s digital business should continue into the foreseeable future. Because of this digital business surge, it isn’t unlikely that EXPR can grow sales and margins slightly over the next several years. Revenues currently hover around $2.1 billion, while EBITDA margins are just over 5%. In five years, EXPR should be able to do $2.2 billion in revenues on 7.5% EBITDA margins (above today’s level, but below historical levels). That implies roughly $165 million in EBITDA in 5 years. The trailing five-year average EBITDA multiple for EXPR stock is 5. Thus, EXPR stock should be able to trade with at least a three-times EBITDA multiple in five years. A 3 times EBITDA multiple on $165 million in EBITDA implies an enterprise value in five years of nearly $500 million. EXPR’s enterprise value today is just $300 million. The Baggage: Pandora Media Inc (NYSE:P) is still yesterday’s favorite music streaming platform. The company missed the boat on on-demand, ad-free streaming music. Rivals like Spotify, SoundCloud and Apple Music passed Pandora by. Now, the company’s active listener base is in perpetual decline. Same with total listener hours. Meanwhile, licensing costs are surging, and the company remains significantly unprofitable. For all those reasons, Pandora stock is languishing around all-time lows. The Upside: The upside in Pandora stock isn’t through Pandora the music streaming platform. For all intents and purposes, I think that platform continues to lose popularity over the next several years. Instead, the upside in Pandora stock is through the company’s recent acquisition of digital audio tech firm AdsWizz. AdsWizz is a firm that specializes exclusively in digital audio advertising. This is a market that is growing at a 42% clip. Consequently, Pandora’s acquisition of AdWizz is essentially a head-first dive into a 40%-plus growth market. Moreover, AdsWizz counts essentially everyone in the digital audio advertising market as customers. That includes some of Pandora’s red-hot competitors like Spotify and SoundCloud. Essentially, then, Pandora will be running a business which provides advertising solutions to its competitors. That is actually a great thing. It gives Pandora exposure to the broad audio advertising market. Thus, instead Pandora being 100% reliant on the company’s dying music streaming platform, Pandora now has exposure to everything audio. This has potentially huge implications. Pandora could use AdsWizz to create a centralized marketplace for all digital audio ads. That marketplace could be quite large. Consider the massive smart speaker trend that is still in its early innings. Those smart speakers will become infused with more and more audio ads. Also consider the huge surge in podcast popularity recently. Those podcasts will also become infused with more and more audio ads. 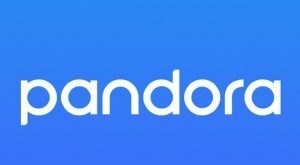 All together, then, Pandora can use AdsWizz to create a marketplace for buying and selling ads in an audio advertising industry that is gearing up for huge growth over the next several years. That gets me excited about Pandora stock as it languishes here at all-time lows. As of this writing, Luke Lango was long FRAN and EXPR. Article printed from InvestorPlace Media, https://investorplace.com/2018/03/3-stocks-under-10-that-could-take-off-like-a-rocket-ship/.